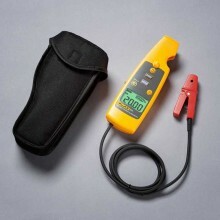 Includes: Soft Carrying Case, Fluke 771 Users Manual. 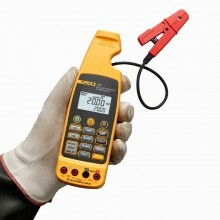 If you need more time in your busy day take a good look at the Fluke 771 mA Clamp Meter. It’s designed to save you time, and money, by eliminating time wasting activities. 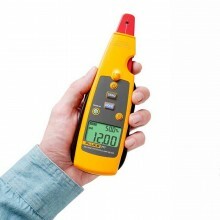 With the Fluke 771 Milliamp Process Clamp Meter you can measure 4 to 20 mA output signals from transmitters in process and industrial control systems without breaking the current loop. 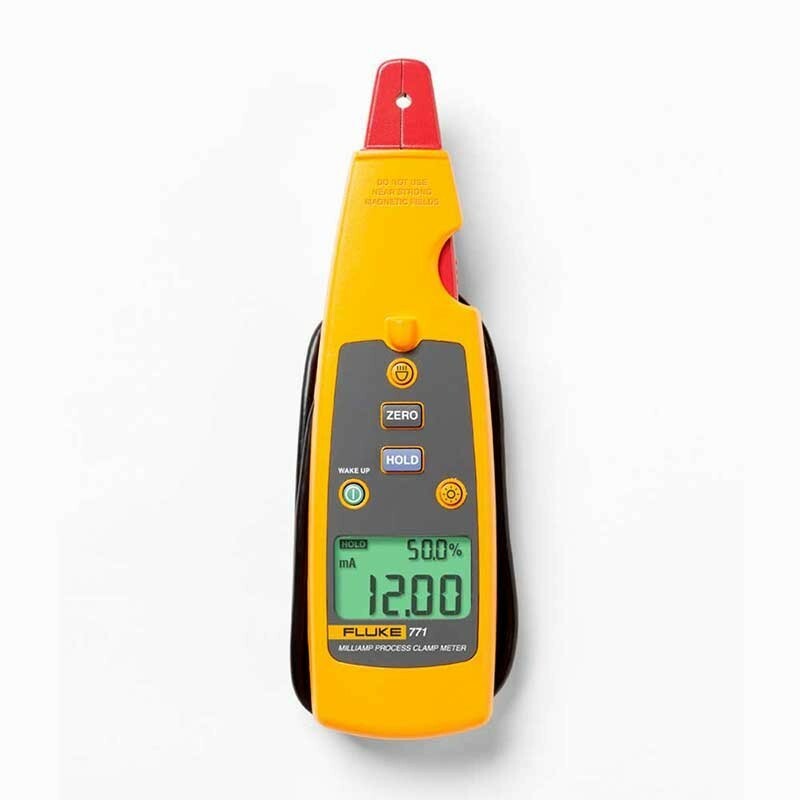 The Fluke 771 Milliamp Process Clamp Meter has all the accuracy, resolution and functionality you need for testing and troubleshooting programmable logic controllers and control system analog I/O. For more convenience, the detachable clamp can be attached to the wire you're testing while you move the meter—connected by the extension cable—to a better viewing position. This is especially helpful for taking readings in tight locations. Measure mA signals for PLC and control system analog I/O. Best in class 0.2 % accuracy. Resolution and sensitivity to 0.01 mA. Hold function captures and displays changing measurements. 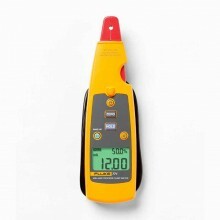 Dual backlit display with both mA measurement and percent of 4 to 20 mA span. Measurement Spotlight illuminates hard to see wires in dark enclosures. 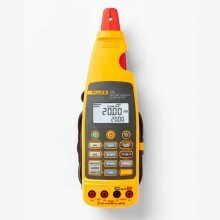 Measure 10 to 50 mA signals in older control systems using the 99.9 mA range. Power, 15 minutes automatic power down. Backlight, 2 minutes, automatic off. Spotlight, 2 minutes, automatic off. Diameter of Measurable Conductor 0.1777" or 4.5 mm max. Storage Temperature -25 to 60°C. Operating Humidity <90% @ <30°C, 75% @ 30 to 55°C. Size 59 x 38 x 212 mm (2.32 x 1.5 x 8.35"). Vibration Random 2g, 5 to 500 Hz. Shock 1 meter drop test (excludes jaw). field strengths of 1V/m up to 3V/m. Power, Battery Life 2 x AA 1.5V Alkaline, IEC LR6, 40 Hours Typical. One year for cable and clamp assembly. 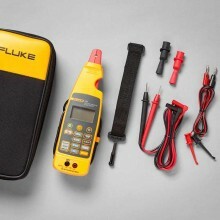 PDF Specifications of the Fluke 771 Milliamp Process Clamp Meter.